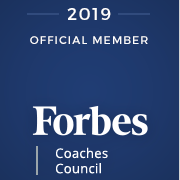 Executive Coaching is one of EDA’s Best Practice Solutions that delivers a one-on-one growth and development opportunity and produces real business results in a short period of time. EDA customizes coaching to meet the individual’s specific needs and matches the leader with the most appropriate coach. EDA also strategically links the coaching goals to the organization’s business strategies. Sessions with the individual’s manager or board of directors are worked into the coaching arrangement to assure accountability to the organization’s vision and organizational strategy. The role of the coach is to help the client maximize performance. We do this by analyzing the leader’s strengths and development opportunities, clarifying goals, developing action plans, addressing new skill needs and eliminating obstacles that stand in the way of success.